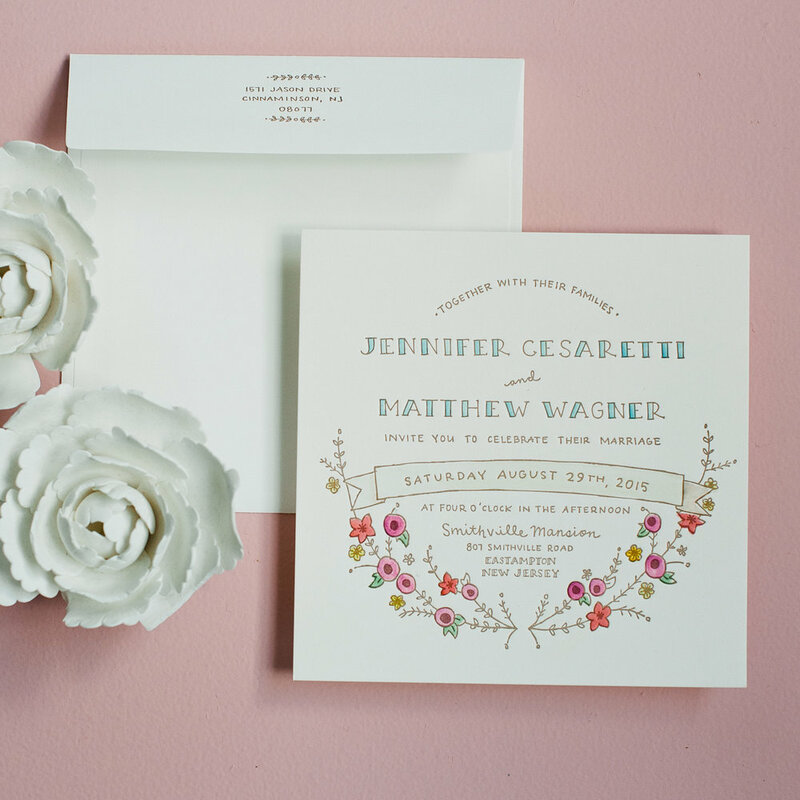 The Faribault Suite is inspired by colorful farm country and perfect for a colorful country wedding. 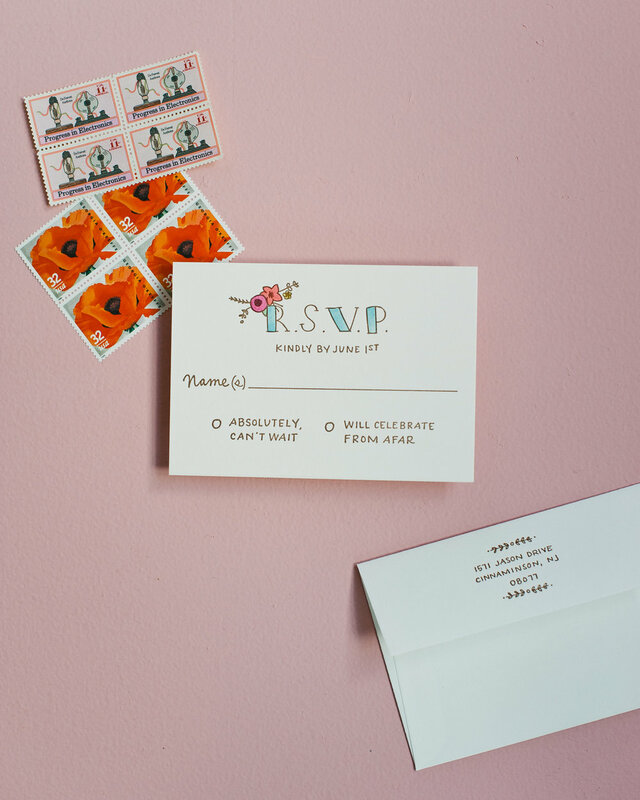 The watercolor artwork was digitally printed and then letterpressed to create depth. Check out some other iterations here and here.